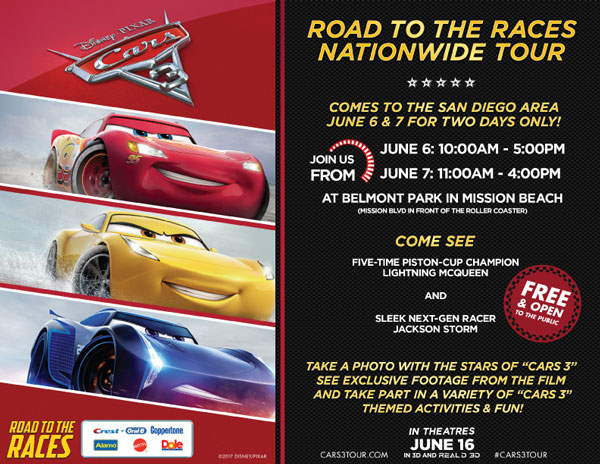 Road to the Races, a FREE “CARS 3” event is coming to San Diego’s Belmont Park, in Mission Beach. Come see life-size character look-alikes of “CARS 3” stars Lightning McQueen and Jackson Storm on June 6th and June 7th, 2017! 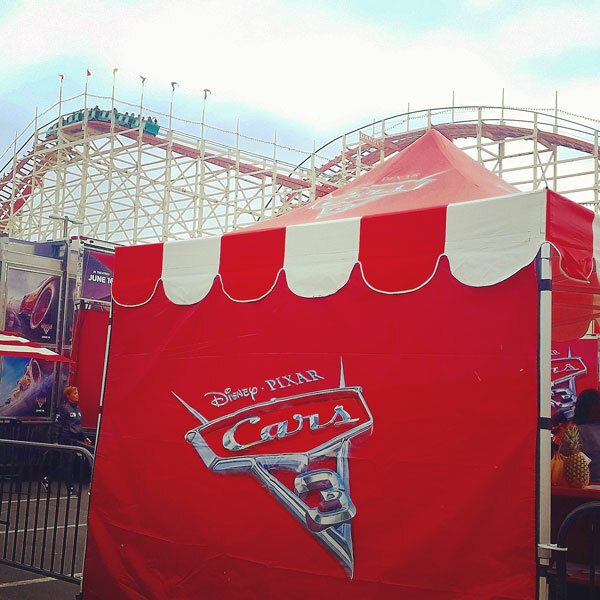 The event is happening near the roller coaster, from 10am-5pm on June 6th, and from 11am-4pm on June 7th. 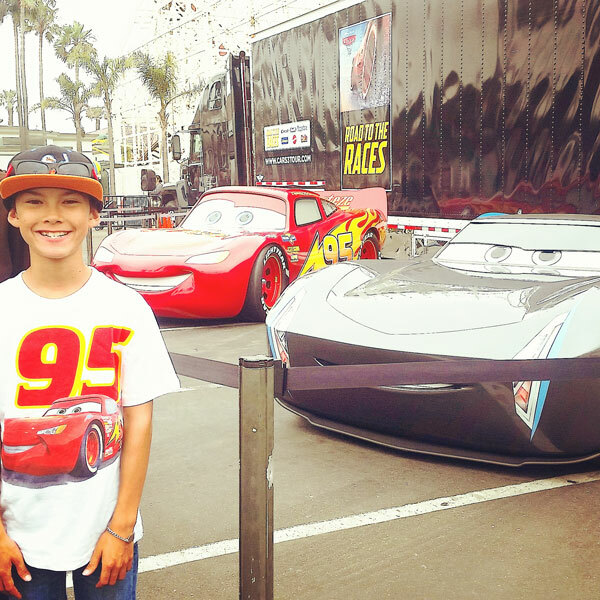 Enjoy photo opps, exclusive footage from the film, and fun “CARS 3” themed activities. 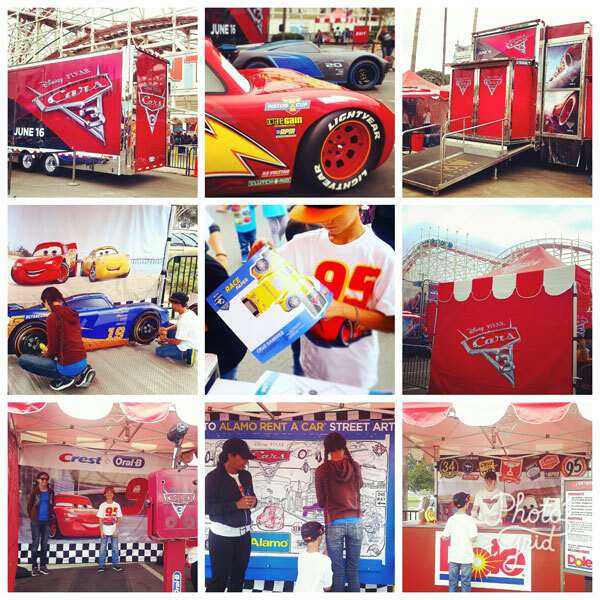 Activities include a “CARS 3” paper craft, toy car race, pit stop race, street art coloring, and photo booth. Dole also has a booth set up with free smoothie samples, and a printed recipe card. 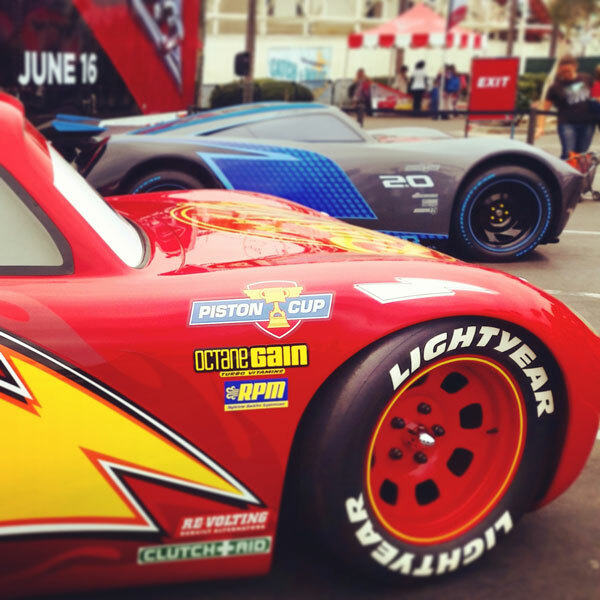 Road To The Races is headed to Downtown Disney, at the Disneyland Resort June 12th and 13th. You can join the fun from 10am-5pm either day. 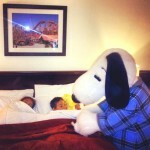 After Downtown Disney, the tour continues to The Autry Museum, at Griffith Park, in Los Angeles. They’ll be there June 14th-18th. This is the final pit stop in Southern California, then the team goes to San Jose June 22nd-23rd, and Sonoma June 24th-25th. Click HERE, then click on the Download Full Schedule link (under the map). Here you’ll see specific times for the stops in Griffith Park, San Jose, and Sonoma. 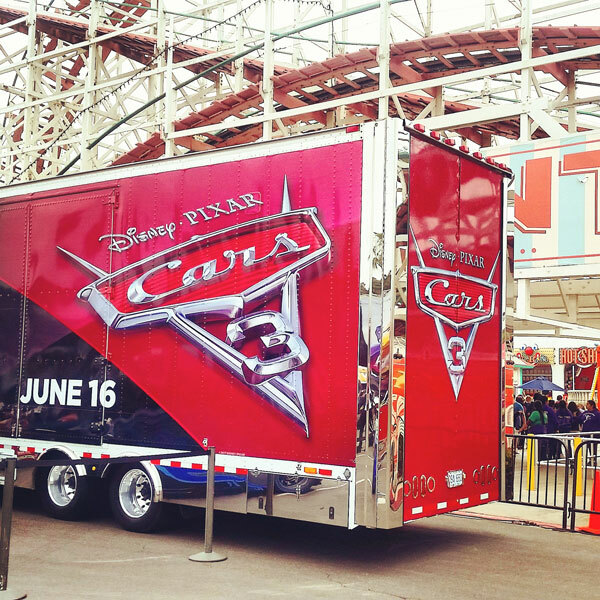 Disney • PIXAR “CARS 3” is opening in theaters on June 16th. 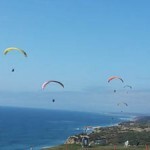 Road to the Races is a fun, family-friendly event. Perhaps we’ll see you there! P.S. You might also enjoy our post about the CARS 3 movie, with FREE printable activities!